The Big Brother 19 recap begins tonight at 8 PM – 9 PM with an exciting new episode, we will be blogging the show with all the up-to-the-minute details so make sure to bookmark this spot and come back for our Big Brother recap. While you wait for our Big Brother 19 recap make sure to visit CDL for all your Big Brother spoilers, news & more! Tonight’s Big Brother recap begins now – Refresh Page often to get the most current updates! Big Brother Season 19 (BB19) continues on Day 52 when Alex adjourns the nomination ceremony. Elena is not happy to be on the block for two weeks in a row but knows that Cody is the biggest threat. Jason wants to win the Veto so he can save himself even though they want Cody gone; Paul says if they can’t get rid of Cody they can take out Elena or Matt. Paul feels him and Alex are able to keep their alliance a secret, because they don’t have a lot in common. She thinks Kevin needs to go because he is stirring the pot so bad and they agree on keeping Josh to the end as he is harmless. Alex feels if they can get the showmances out of the house, they can steamroll the game all the way to the end. Cody comes to see Kevin in the room. Kevin says he misses his family a lot and thinks a father should always be there for their daughters and he its difficult not knowing if they need him or not; he hopes he is making them proud. Kevin doesn’t share anything about how he feels but advises Cody to come out to the yard and enjoy himself at least. He says showing emotions is a sign of weakness so he goes to the pantry and hides his head in the freezer for a few minutes and cries. Alex calls everyone for the Veto competition. Only 6 people can play in the competition, so Alex, Matt, Elena and Jason join her up front of the house guests and she pulls out 2 chips to see who else will compete. She pulls Mark’s name first and then she picks her own name, meaning she cal choose who will compete and she chooses Paul. Kevin tells Cody the only mistake he made in his opinion was taking Raven, Matt, Mark and Elena under his wing. Cody tells him that he has a daughter and no one knows in the game, so he doesn’t want the HG to use it against him. He knows how tough it is on Kevin being away from his kids so he wanted him to know he isn’t alone. Kevin tells him that him and Jessica will do great. The HGs are called into the yard where its the Outback Steakhouse and Christmas is upset because this is the only game she wanted to play so bad. Josh welcomes them to the BB Adventure Tours, the game is played in various stages. They are to launch an arrow and where it lands on the map, that will be there number of points; the player with the least amount of points each round will be eliminated; each spot that has already been claimed will count as zero in future rounds. Being eliminated isn’t the end of the game, they can choose their prize helmet but beware that the players who get eliminated after them have the option of keeping their helmet or trading it. 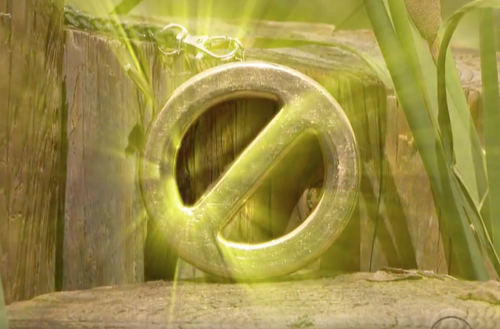 The last player has the choice of any of the prizes including the power of veto (PoV). The winner can invite 5 HGs to join them at the Outback Steakhouse for a private dinner. Round 1 is up Alex hits 26. Matt gets 28. Mark gets 28. Elena gets 22. Jason gets 22 and Paul gets 9 and is eliminated. He picks the PoV helmet and wonders how long he will hang on to it. Round 2 Matt gets 25. Mark gets 18. Elena gets 19. Jason gets 19 and Alex scores 25; Mark is eliminated and claims his prize which is the Adventure Vacation to Colorado; he chooses it to keep it in hopes he doesn’t get punished. Round 3 starts Elena gets 1. Jason goes out of bounds and gets nothing! Alex gets 12 points and Matt gets 11. Jason claims his prize which is a tandam skydive for him and another houseguest, meaning they will be together for 48 hours. Jason chooses to trade for the Veto. Round 4 Alex gets 14 points. Matt gets 2. Elena scores 7 which means Matt is eliminated and his prize is extreme-a-tard, which means everything for the next week he has to do to the extreme. He trades it for the Veto, which worries Paul because Matt is the only one who could ruin the plans. Round 5 is Alex versus Elena; they both promised to not curse each other. Elena scores 17 and Alex goes out of bounds. Elena wins and Alex claims her prize of $5,000 and chooses to keep it. Elena claims her prize which is camp guide, which means she would have to wear and carry camping equipment at all times and when the horn blows she must set up camp and cook a hotdog for everyone in the house. Elena looks over at Cody who tells her to take the money from Alex and she takes the $5,000. Josh says this is brutal and ruthless. Alex calls her the biggest and slimiest scumbag ever. Paul chooses Christmas to do the tandam skydiving with, while everyone else keeps their prizes; Matt is the winner and gets to choose who will go to dinner with him. Paul worries that if Matt pulls himself off the block, they can’t nominate Cody and Cody feels he could use this to his advantage now. Alex says she is coming for Elena and making sure she goes home. Alex calls Josh, Christmas, and Jason in her room; she is furious and wants to send Elena home. Josh says she is a greedy selfish player and will do whatever it takes for herself and even though Cody may be replacing Jason, he may not be her target. Cody walks into the room and tells Elena she is crazy and thinks its great. He says he would have done the same thing and tells her that taking the money will make her a bigger target than she already is but she was already a target before this. He wants Elena to feel good about it and not apologize so Alex will campaign for her to be evicted. He feels her big mess up might be Cody’s saving grace. Alex notices Cody is alone in the kitchen and hollers for him to join the party; everyone is invited except for Elena, making her paranoid. Cody says it kills him inside to even talk to these people; but if its gets him one step closer to winning he will do it. Jason is called to the diary room and is forced to wear an extreme unitard all week with a huge X on his head and everytime producers say what he is doing he needs to yell and make it an extreme event, like brushing his teeth, going to the bathroom, dreaming. Paul and Christmas come out with their skydiving uniforms on attached together, they are stuck together for 48 hours. Christmas jokes that Paul is her very own reindeer; they sleep together, eat together and have to do everything together. Alex comes out to the yard with her camp guide uniform and its for all week; the bugle sounds and she has to set up the tent, sleeping bags and everything according to the diagram and then cook 11 hotdog; then she has to pack everything up again but as soon as she does it all, the bugle sounds again. In the middle of the night, she delivers a hotdog to Cody and she tells him he isn’t her target and he offers to help her with the game; she is tempted and is considering it. Matt announces as the winner of the Veto he gets to invite 5 guests of his choosing to enjoy a private dinner in the backyard where Outback Steakhouse will treat them to an Aussie rules Feast. He reveals what the meal will be and he chooses Mark, Elena, Paul, Alex and Jason – everyone who participated in the Veto competition; Paul forfeits his spot because Christmas was such a good spot and she takes his place. Kevin jokes from inside the house saying he will just have a hotdog when Alex comes back in; the others in the house are a bit jealous about all the food they are having outside. Cody goes to the HoH room and talks to her about not making him a target this week. Jason tells him everyone wants him gone and Cody reminds him of what he did when Jason was in the same position. Cody says she has justification for going after Elena and wants to know if there is anyone else she would put up. He milks it saying Jason and Alex are the strongest players right now but people will always go after him. Alex says this is something she will consider because she wants to remove Elena and possibly make Cody a strong ally. Matt says he has a tough decision to make too. The Veto meeting begins and Matt announces that he has decided to use the Power of Veto on Jason and now Alex needs to name a replacement. Alex stands up and nominates Cody and says she washes her hands of this. Matt adjourns the meeting.